Bright holidays apartment in Addaura area, just 2 km from the beach of Mondello in Sicily. The apartment is located inside a villa and has independent entrance and private outdoor areas. Bright holidays apartment in Addaura area, just 2 km from the beach of Mondello in Sicily. The apartment is located inside a villa and has independent entrance and private outdoor areas. 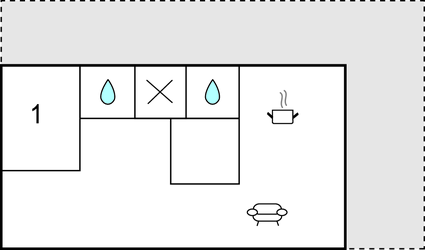 Communal outdoor space with table, chairs, barbecue and a small awn. Within walking distance you can reach a supermarket, restaurants and the bus stop ( connections to the city center). The airport is 20 km from the house. The beach of Mondello is famous for its beautiful coves immersed in the crystalline sea. You can reach the harbor where you can rent boats for excursions, overlooking the Gulf of Mondello. Ideal destination for a beach holiday, but also for culture, history, nature and food and wine. Worth visiting the historic center of the city of Palermo, with monuments from various eras: Renaissance, Baroque and Arab-Norman, UNESCO World Heritage, and famous monuments such as the Cathedral of Palermo, the Norman Palace with the Palatine Chapel with beautiful mosaics and the Teatro Massimo, the largest opera theater in Europe. Excellent starting point for visiting: Palermo, Monreale, Cefalù, San Vito Lo Capo, Castellamare del Golfo, Scopello, the salt pans of Trapani, Erice, the cellars of Donna Fugata in Marsala and Segesta, all easily accessible by car. An unforgettable stay! This solidly constructed modern villa was recently built in 2015. The agent has rated it as a four star property so it is a well-equipped villa with above average furnishings. It is also great value for money. 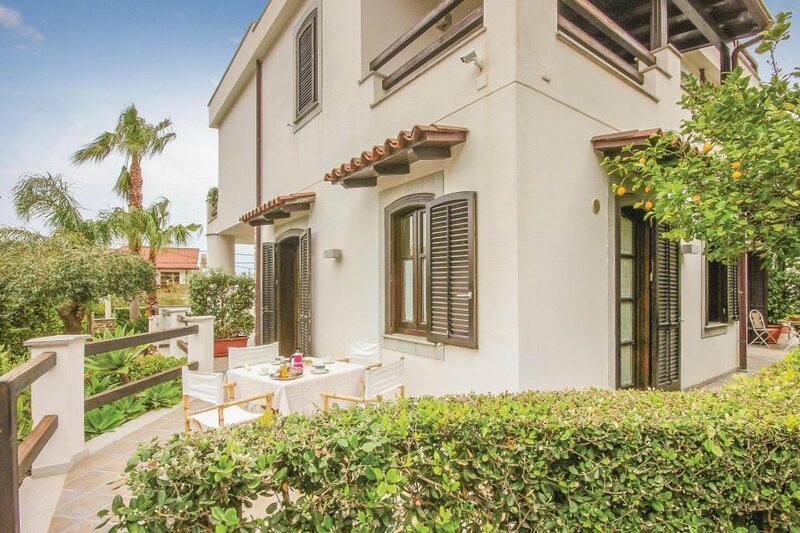 The villaIt is located in Palermo, only 3km from Mondello. The nearest airport is only 20km away. It is set in a very convenient location, just 300 metres away from a sandy beach. There's also a restaurant only 300 metres away.